Your time is extremely valuable and we do not take this for granted. We have multiple systems in place in our office to ensure your appointments start and end on time. Any “out of pocket” expenses for your visit. We know that traditional methods of communication are changing in today’s fast-paced, digital world. 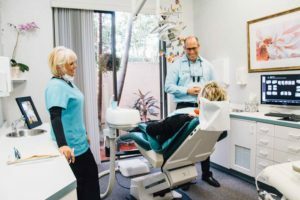 Our dental help practice utilizes a cutting-edge patient communication system providing easy and secure email or text messaging. We use this system for simple, “one-touch” appointment reminder confirmation, as well as an alternative method of reaching out about any appointment changes. We always address our patient’s primary concerns as a priority. Once satisfied and comfortable, we typically recommend a comprehensive evaluation to assess overall dental health. We want your quality dental care to be affordable. We work to help our patients understand their dental insurance benefits and how their benefits will work in our office. Additionally, we make sure any “out of pocket” expenses are understood and are clearly explained in “plain English.” We want to be completely transparent so that you can be assured you are getting the care that you need and deserve. In some situations, we even help co-create a payment plan with our patients so that needed care can be attained. Give us a call at 561-732-8877 to talk to an experienced staff member about your payment options!